Naturopathic Medicine is a primary health care profession that focuses on prevention and uses a natural approach towards better health. 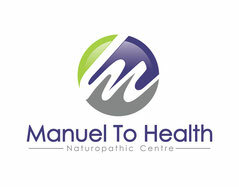 It is complementary to other healthcare approaches and treats a variety of health concerns. Naturopathic Doctors (ND) are highly educated general practitioners of natural health care who integrate standard medical diagnostics with a broad range of natural therapies. They work in partnership with other regulated healthcare providers to ensure that patients receive the most comprehensive and effective care possible. The treatment methods used include botanical (herbal) medicine, homeopathic medicine, clinical nutrition, acupuncture and Asian medicine, physical treatments, counseling, and healthy lifestyle guidance. Naturopathic Doctors are provincially regulated with standardized credential requirements. All registered NDs have completed four years of extensive training in an accredited naturopathic medicine institution after a minimum of three years of pre-medical studies at a recognized university. They must then pass a set of standardized North American regulatory board examinations in order to qualify for ND licensing. Naturopathic doctors use the least invasive therapies and avoid suppressing symptoms. Naturopathic Medicine recognizes and supports the inherent ability of the body to heal itself by identifying and removing the obstacles to health. Identification and removal of the causes of disease. Naturopathic doctors educate their patients and encourage self-responsibility for health. Naturopathic doctors account for physical, emotional, mental, genetic, social and environmental factors in their treatment of every individual. Prevention of disease through healthy lifestyle and control of risk factors. To co-operate with the healing powers of nature.